How would you describe your mind? Analytical and chaotic, or neutral and silent? – In most cases, we deem the analytical side to be of utmost importance. When it comes to tranquility, we need to ask ourselves the following question. Is it the stillness the speaks, or the action itself? Let’s see what Eckhart Tolle has to say about that. 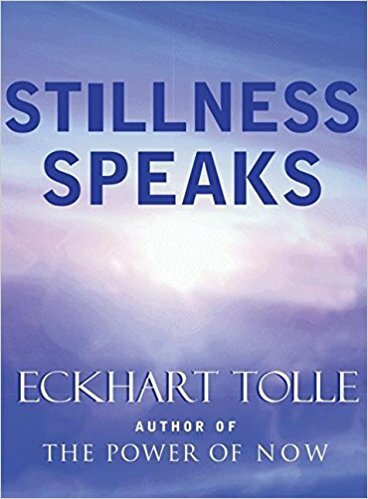 Who Should Read “Stillness Speaks”? And Why? We all know of Eckhart Tolle and his tone with regards to spiritual development. In the past few years, he’s had a lot of open sessions on spirituality and how to attain the much-vaunted peace. In his YouTube videos, he gives his opinion on why stillness is best the weapon in the fight against aimlessness, depression, and despair. Hence, “Stillness Speaks” is the ultimate guidebook for all people who want to find shelter and escape the madness of the material world. According to many, Eckhart is the voice of reason. Even celebrities such as Oprah, Jim Carrey have expressed their admiration for his words of wisdom, and how he changed their life, positively. A real spiritual teacher does not feel the need to teach you how to survive nor which practices to follow. It doesn’t give you any new information, on the contrary, it tries to free your mind from the conventional wisdom that keeps you hostage in the world of attachment. In other words, a spiritual teacher attempts to “tear down” your belief system and leave you in total emptiness. Words conveyed up to this point act as a handbook that guides your efforts and incentivizes you to go deeper. With the help of a spiritually-awakened person, you must subdue the surge of thoughts, and tame the restless mind. This form of teaching originates from ancient times, sometimes even enriched with the sutras of ancient India. Just to be clear, sutras represent powerful pointers to the inner truth, with very little conceptual focus. Not just the ancient sutras, but the entire flow is merely an illustration of the stillness that speaks. The main thrust of Eckhart Tolle’s message is the fact that his word is in no way connected to any religion. It’s free from ties and meaningless indoctrination techniques. It speaks on behalf of humanity. When silence is replaced with noisiness, you have abandoned yourself. This stillness is not something that can fade away, nor is it a “thing” one can attain. It’s the very core of your true self. If that’s the case, then how come I don’t see it? The inner awareness is not something you can see; it’s the thing that sees. It’s the all-watchful eye of the soul, not a thing you should pursue to have in your possession. On a busy day or a morning rush hour, you can feel the tension; it’s almost as if the negativity penetrates your heart. Well, the external noise is by no means more damaging than the internal chaos. Look at a tree, take a look at a plant, allow your mind to get back into its original state of silence. When silence becomes the driving factor in your life, peacefulness will emerge. We have been misled completely with the notion that happiness is a result of something attained after a long and arduous journey. From a spiritual standpoint, drawing happiness from the material world reflects an adrenaline surge. It doesn’t yield permanent benefits, only momentary satisfaction. Real intelligence is hidden beneath the surface. The tide of thoughts wields enormous influence over your life. And every single one that pops into your head is perceived with extreme care. Your thoughts are not that important, let alone genuine! You’ve been a victim to a sequence of imposed opinions, beliefs and emotions. It’s time to snap out of it, and allow stillness to take over. Nobody denies the practicality of thinking, Eckhart Tolle only divulges information regarding the limitations of the mind and how you can overcome them. Keep in mind that the shallowest form of life is one of the thought. Throughout history, nothing has caused more suffering than the agendas and dogmas adopted by the members of a certain community. If you continue to identify with the thought, you’ll remain imprisoned. The stream of thoughts hampers the spiritual awakening and withers the inner evolvement. If you intend to grasp the truth while resting on the mind as the only channel, brace yourself for a big surprise. The mind is confined in its essence, and all of its fruits are somewhat tainted. The egoic sense of self is powered by the need for identity, and the desire to obtain status. Eckhart Tolle portrays it like a wild animal in pursuit of meat, one that must constantly feed itself in order to survive. The main question is – when you say “I” what are you referring to? Your story, or perhaps your religion? By no stretch of the imagination is this sense of “I” constant and not-fluctuating. It’s prone to twists and modifications based on the environmental hurdles that it comes across. To the Ego, this is a self-destructive reality, but to you is a form of liberation. Ask yourself – who is the observer or the seer of thoughts? Who is aware of the restless nature of the mind, who sees the psychological effects of a certain phenomenon that takes place in your mind? – No, you can’t see the seer; you can only be that. The deeper sense of “I” contradicts the need to control the past and the future. The preoccupation with what is to come is entirely within the real of the Ego. The victim culture or the victim mentality only adds to this dangerous ideology that basically manifests the kinetic energy of the ego. A great deal of sadness stems from this perpetual tendency to condition your existence. And you do just that when you undermine the only thing that can’t and will not evaporate – the present moment. If you think that being in the Now requires mental strength, then you better change your tune. There’s not one thing that has happened in the future, and yet we feel hesitant to embrace the reality. What is more important than the present moment? Why not take responsibility for your life, and shrug off the negative mindset that keeps you down? You are not your thoughts; you are not your mind, you are not your emotions – you are the witness that keeps a watchful eye on these rising tendencies. Most of the things about life are evaluated through the eyes of the community. Your status or position in society is also under heavy scrutiny, and the life you live is under constant bombardment by the societal norms of success. It seems that, if you are not good-looking and rich, you don’t deserve to be happy. Societal stature holds no meaning whatsoever because it relates to conceptual indoctrination, not the true self. If you only want to scratch the surface, then hunting down your imaginary enemies will suffice. However, if you have a genuine desire to delve deeper, then you have to relieve yourself from all the brands, labels and false titles attributed to your sense of self. Once you crush the inner resistance, you’ll be able to see who you actually are. By being aware of your true nature, as the awareness in which the floating and non-consistent appear, you’ll become free of life-interpretations. Long story short, what happens on the outside will no longer be a relevant factor in how you interact with your core-self. All the things that once caused despair will be caught in the midst of this transition, never to rise again. As a result, playfulness and cosmic dance will subtly take over your body & mind. You’ll no longer be obsessed to re-create situations that are long gone, nor you’ll be inclined to agree with the overall projections of success. It might occur to you that society is not on your side, and you’ll also see how hard it is to stand with your shoulders straight. The habits that once were the embodiment of your life-choices will begin to die out. The self-identity portrayed as the egoic consciousness requires your attention to function, and if you don’t give your energy to it – it’s game over. 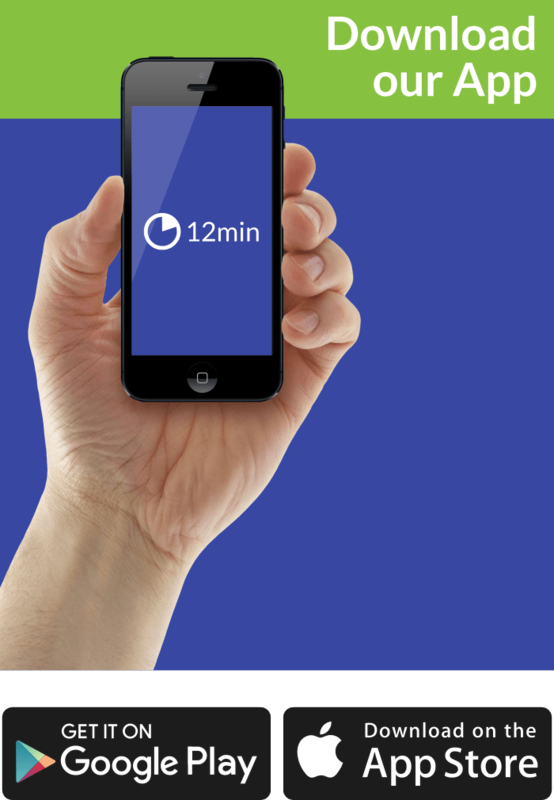 Zen Masters believe that the best way to tackle this tendency is to do one thing at a time. By continuing this battle, you’re doing the opposite of surrender. Surrender to the flow of life, and forget about pulling the strings! The interrelatedness of all things is what Buddhism has known and has preached since its early beginnings. Physicists of the modern age, now have the means and resources to look into it and uphold these beliefs. The more we put labels on our existence the more we deviate from the center. If we really like to put an end to all the suffering, we must look at freedom as much more than a concept. It reflects one’s liberation from the cultural, religious, social and personal features. It’s about embracing the moment and living the life in accordance with this law. Only then we can experience the end of suffering. Suffering truly is a broad term, and everyone interprets it differently. The analogy of it is quite disturbing because it signifies the ignorance of the humankind. Happiness and peace don’t need any strings attached to validate their existence, whilst unhappiness and suffering need to cling onto something, or better yet a personal story. This conceptual identity derives its legitimacy from our interpretation of a certain life-situation and fuels the existence of the egoic-self by perceiving it as the only reality. The “suchness” of each moment (not in time, but in presence) is not flexible! Unlike the past and future, the presence has no memories, no plans, and no pain. It’s not the situation that makes you unhappy, but your thoughts about it. It all boils down to this – unhappiness has no authority in the Now. It really doesn’t come as a shock to anyone that whenever you are pissed off about something, you can’t think rationally. Then why even bother mentioning this? Because, according to Eckhart, being emotional is not on an equal footing as winning the inner argument. Keep that turbulence outside your head. The world isn’t a land of milk and honey. Sometimes, a given situation may overwhelm you, and pound you while you are down. Remember, people, grow roots when things get tough. Don’t fight it, and accept that you don’t have control over this predicament. No matter how many times we say it or hear it; you should really know where to look for answers. The painful past and the unknown future, should not be your first choice. Eckhart reckons that the present moment destroys all the concepts in its wake and the only thing you should do is embrace it. Are you ready to sit back and let it go? It’s something similar to being stranded on a deserted island, and the only thing left for you to do is to accept your present moment. By accepting, Eckhart Tolle doesn’t mean forcefully admitting defeat. It indicates our inner realization of the only thing that never changes (The Now) – your true self.